Because it’s the start of a new week, let’s celebrate with something sweet. 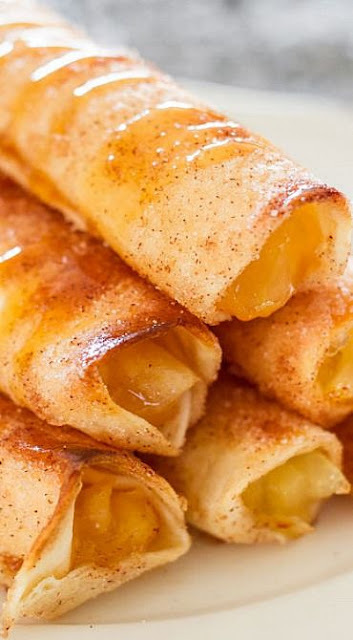 And because these apple pie taquitos are so simple to make, that you can make them on a weekday, in the morning, after work, whatever strikes your fancy. But even better than that, these taquitos are so good, you’ll thank me. I am actually happy it’s the start of a new week because I have some amazing recipes to share with you this week, from these apple pie taquitos to a maple mustard glazed salmon, and a yummy chicken thighs bake with sweet potatoes, kale and corn.